Nagito Komaeda wakes up after experiencing death in the Neo World Program. What kind of world he is seeing and why did he wake up? 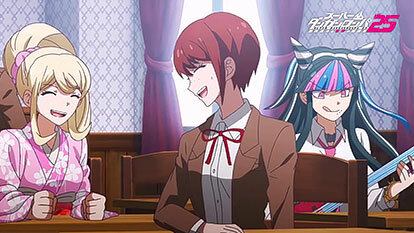 Nagito appears to be in a strange world, including students who have been seen before as well as people who never existed. He is an ordinary boy with no Ultimate Luck, attending an ordinary school. Constrained by being the protagonist, he thinks that having a big talent would interrupt his happiness. He believes that living an ordinary life, being moderately happy, while watching his classmates have a normal youth is what's wonderful.